This film has more euphemisms and double entendres than you could shake even possibly three or four sticks at. The Duke of Charmerace first makes the acquaintance with the lovely Sonia when he walks into his bedroom and finds her naked in his bed. The Duke of Charmerace clearly consummates his relationship with Sonia before wedding bells ring. 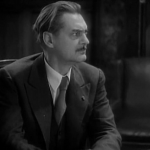 When the cards are down on the table, the titular Arsène Lupin threatens to sell the policeman’s daughter into white slavery. Do you want to go back to your solitaire, or would you prefer something that requires *two* people? Many times before and many times after this, I’m sure, this blog has touched on the ideas of social inequality. The rich get richer while the poor get poorer. In such times, it’s often fun to tell fables about the rich getting their own, paying for their crimes a dollar at a time. That’s where the idea of the gentleman thief comes in. From Robin Hood to the leads in Trouble in Paradise, these thieves inflict the comfortable with charm and wit. They’re thieves, sure, but they’re thieves with a moral code. One part sparing the downtrodden, one part dismantling those who’ve profited at their expense. Arsène Lupin stars just such a thief, a criminal who tackles a gaudy, wealth-stuffed birthday party, a war profiteer and then, just for fun, steals the Mona Lisa out of the Louvre. Now *this* is some enchanted evening. The movie is a delightful little excursion, a battle of wits and mettle between two men on opposite sides of the law. The Duke of Charmerace is a bon vivant with a low bank account and an air of sly defiance. Inspector Guarechard is the grumpy veteran Parisian detective whose job is threatened if he doesn’t catch the elusive thief Arsène Lupin. 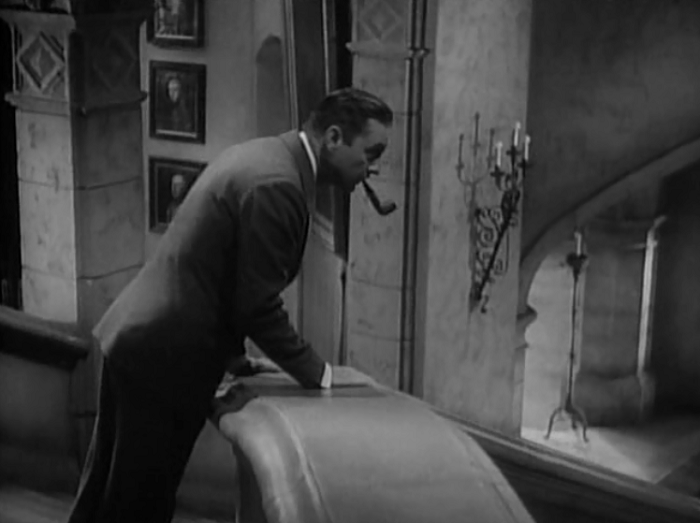 He suspects that the Duke is the man he’s looking for. Arsène Lupin has a lot of fun with these dueling personalities, often playfully suggesting that Guarechard is Lupin just to keep the audience on their toes. The movie also inserts the seductive Sonia into the mix, who is either a bored socialite, a policewoman, a mole, or perhaps more than one of the above. In any case, she’s rarely clothed in much more than a smile and that keeps the Duke of Charmerace guessing as well. 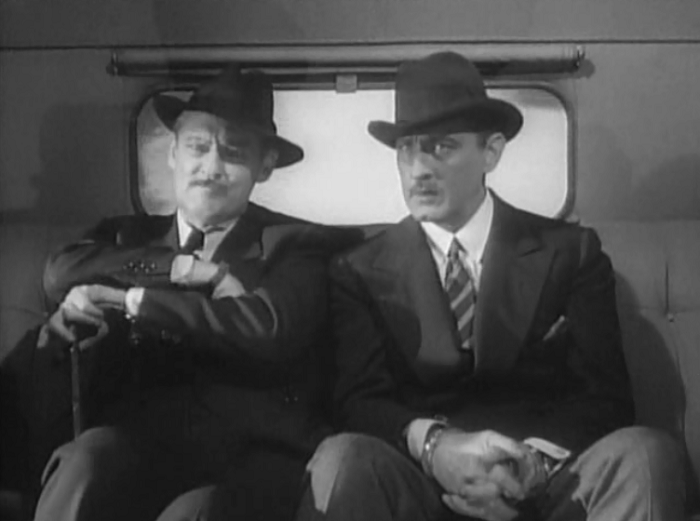 The Barrymore brothers are in rare and hilarious form here. John’s often called a ham (and I’ve done as much in my reviews of Twentieth Century and Dinner at Eight), but he knows to pull back and layer on the charm for Arsène. His Duke may be egotistical, but he never loses his playful side. Lionel is, as always, Lionel, gruff and curmudgeonly but also paternal and kind. And both’s chemistry with the sweet Karen Morley pays off in spades. This film contains perhaps the funniest sleepwalking scene of all time. 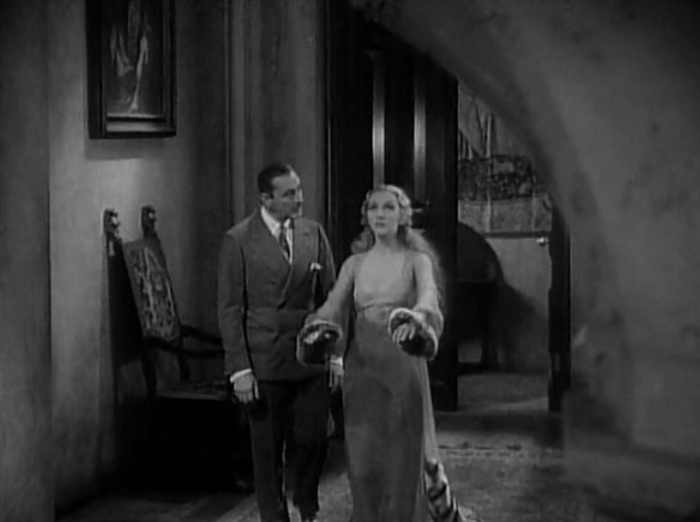 I’ve heard the movie called Lubitsch-ian after the famed romantic comedy director, and it certainly errs in that direction, though I find it striking in its similarities to the rambunctious Jewel Robbery. 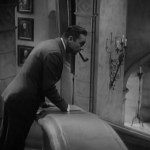 However, there are shades of Lubitsch, such as in one delightfully suggestive scene, where Sonia gets into bed and jumps out again, shocked. It turns out she was just goosed by a bottle of chilled champagne. There’s a lot more I can go into, but there are so many delightful little surprises here, I loathe to spoil them. The appeal of this kind of movie is easy to see, where criminals do what the police cannot. The appeal of this movie in particular is even easier to explain: the Barrymore brothers, obviously having a good time playing off one another, traverse across France with a beautiful woman and clever plots in tow. It’s both dirty and sweet, naughty and playful, and, above all, quite a bit of fun. Based on a stage play adapted from a 1904 novel which have both been made and remade many times since. The two most notable are the 1938 direct sequel with pre-Code favorite Warren William as the detective out to catch Melvyn Douglas in Arsene Lupin Returns and the Japanese anime adaptation of the character that resulted in the quite-fun Lupin the Third: The Castle of Cagliostro (1979), directed by Hayao Miyazaki. This film possesses a good deal of humor and some very neat ideas. 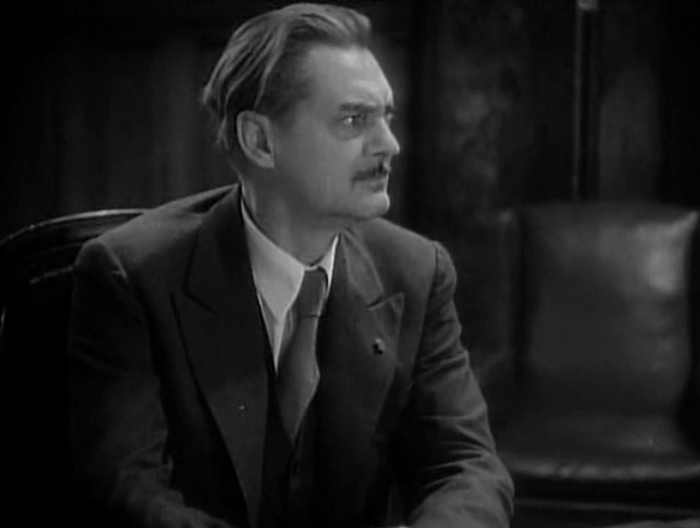 Lionel Barrymore is admirable and so is John, whom it is a pleasure to see again in something in a lighter vein. Tons of extraneous data courteous of AFI over at TCMDB. Stars in Heaven isn’t a fan, calling the pacing lethargic and finding the interplay with Morley a bit too dull. I disagree, but, hey, ya know. 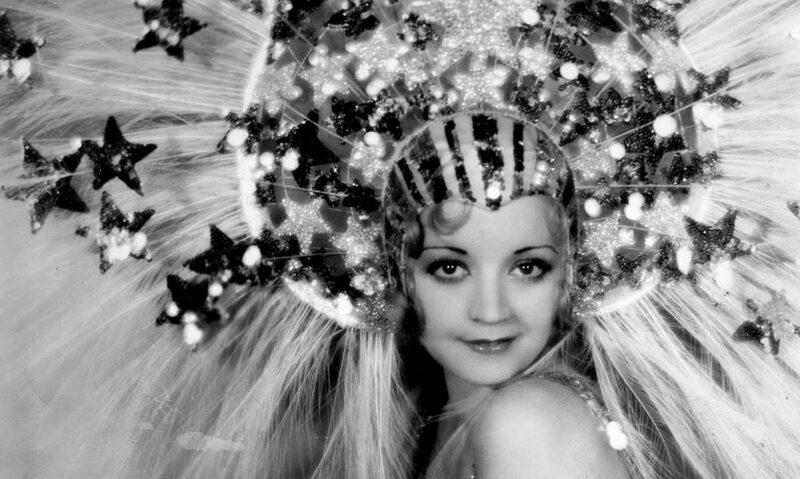 The Hollywood Revue says this one is great for fans of The Thin Man. The first of five movies the Barrymore brothers made together, which includes Grand Hotel, Dinner at Eight, Night Flight, and Rasputin and the Empress. This film is currently (and sadly) difficult to find. It’s showing April 28th, 2014 on TCM, otherwise bug Warner Archive about it! I will definitely search this one out. Love the Barrymores and have never seen it. It’s utterly delightful. It’s hard to find, but here’s hoping that will change soon. Really stunned this one hasn’t hit Warner Archive yet. They dropped a hint on their FB page that it’ll be out on a double feature with the Warren William movie at some point in the future. Here’s hoping for sooner rather than later! I’ve only seen this one in a really rubbish print on Youtube a while back, but enjoyed it all the same – the brothers have a lot of fun together in this! Here’s hoping it gets a proper release soon. And, yeah, this is definitely my favorite teaming of the two that I’ve seen yet! It is fun.Based on “Arsene Lupin, Gentleman Burglar” A very famous character who appeared in several books(actually collections of short stories) and is typical of french crime literature of the early 20th century. I’ll have to look up that collection. The spirit of the movie is irresistible. I watched this movie this weekend solely based on your review and I thoroughly enjoyed it. Thanks for introducing me to a film I probably wouldn’t have watched otherwise. This makes me so happy. Thank you for letting me know! Caught this on TCM tonight and its tons of fun. Learned about Arsene Lupin via the quite fun Lupin the Third anime series from the 1970s. Heck, I’d even say the Cagliostro film paired with the 1932 picture would make for a swell double feature.